Climate change and high rates of global carbon emissions have focussed attention on the need for high-quality monitoring systems to assess how much carbon is present in terrestrial systems and how these change over time. The choice of system to adopt should be guided by good science. There is a growing body of scientific and technical information on ground-based and remote sensing methods of carbon measurement. The adequacy and comparability of these different systems have not been fully evaluated. 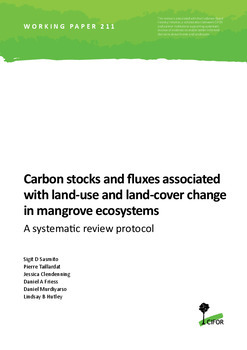 A systematic review will compare methods of assessing carbon stocks and carbon stock changes in key land use categories, including, forest land, cropland, grassland, and wetlands, in terrestrial carbon pools that can be accounted for under the Kyoto protocol (above- ground biomass, below-ground biomass, dead wood, litter and soil carbon). Assessing carbon in harvested wood products will not be considered in this review. Developing effective mitigation strategies to reduce carbon emissions and equitable adaptation strategies to cope with increasing global temperatures will rely on robust scientific information that is free from biases imposed by national and commercial interests. 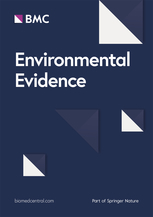 A systematic review of the methods used for assessing carbon stocks and carbon stock changes will contribute to the transparent analysis of complex and often contradictory science. Authors: Petrokofsky, G.; Kanamaru, H.; Achard, F.; Goetz, S.J. ; Joosten, H.; Holmgren, P.; Lehtonen, A.; Menton, M.; Pullin, A. S.; Wattenbach, M.